In view of the large amount of attention yesterday’s post on the potential for vote buying in the 2012 Mexican presidential election has received, we are very pleased to have a second follow up post-election report on this election from Marco A. Morales, a Ph.D candidate in the Department of Politics at New York University, that addresses more directly the question of the potential for and consequences of electoral fraud in this election. In addition to his graduate work in political science, Morales has also served as a public official under both PRI and PAN administrations, most recently – under the current PAN administration – as Press Counsellor and Spokesman for the Mission of Mexico to the United Nations, and Director General for Political Analysis at the Office of the Mexican Presidency. The official tally for the Mexican presidential election has now been released. After all votes have been counted (and recounted whenever there were discrepancies in the tallies) the results advanced by the PREP and the expedite count remain virtually unchanged: PRI’s Peña Nieto has 38.21% of the vote, PRD’s López Obrador 31.59%, and Vázquez Mota 25.41% of the vote. This means that a difference of over 3.3 million votes between the front-runner and the second place remains virtually unchanged. (Or in other words, that there was human error on the vote counts, but no systematic error). Yet, for outside observers, this could seem like a convoluted process taking an exceptional amount of time. And that would be a correct observation. Nevertheless, that is what the electoral law dictates. So what exactly is going on, and why? A bit of Mexican electoral history could provide some necessary context. Decades of one-party dominance supported by tampering with the vote created a plethora of allegories for common electoral practices that seem drawn from Magical Realism literature: the “crazy mouse” (ratón loco), where voters run around “like crazy” trying to find the booth where they should vote until they quit tired from never finding the right place; the “carrousel”, whereby groups of voters cast a ballot in different voting booths along a pre-set route; the “tamale” (tamal), whereby a voter stacks the booth with votes that he had previously brought with him; the “pregnant ballot boxes” (urnas embarazadas); whereby the ballot boxes are brought to the polling station already stuffed with votes for one candidates; the “shoe ballot boxes” (casillas zapato), ballot boxes where all votes are cast for one candidate; the “shaved-off voters” (votantes rasurados), whereby partisan of the opposing parties are eliminated from the list of voters; and all these allegories are perpetrated by “racoons” (mapaches), electoral “alchemists” who tamper with the votes in order to get the desired outcomes. 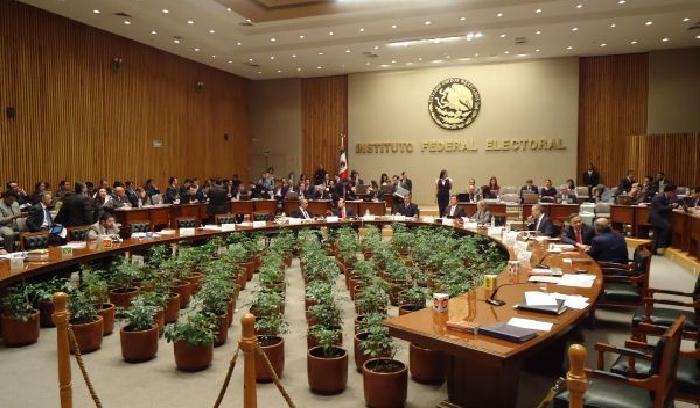 With these precedents, it is no surprise that recent Mexican electoral history is characterized by attempts to foster trust in electoral outcomes, primarily by coping with three main forms of electoral fraud: controlling who votes, tampering with the vote count, and vote buying. The first type of fraud – on the voter list – has been addressed through a voter registration list that is administered by an autonomous electoral authority, and audited by all political parties. Similarly, voters on the registration list receive a voter ID card that is a requisite to vote, and get an indelible (acid) mark on their right thumb after voting. ► On this election, about 1.2 million randomly selected citizens counted the votes of more than 50 million voters. The second type of fraud – in the counting of votes – has been addressed with multiple layers of scrutiny. Polling stations are manned by randomly selected citizens, whose performance can be audited in situ by party representatives and citizen observers, especially when they produce vote tallies. Days later, ballots can be recounted on every district whenever an objection to the tally is presented, when the amount of ballots does not correspond to the tally, or when the difference between the first and second place on the district is less than 1% of the votes. ► On this election, nearly 2 million party representatives and 32 thousand citizens observed vote counts, and over 132 million ballots were recounted to correct vote tallies. To further enhance the credibility of the results, upon closing the polls on Sunday, an electronic system – the PREP – begins adding up the tallies from polling booths in the country, providing an unofficial count of votes when it closes 24 hours later with over 90 percent of polling places accounted for. Similarly, a statistical exercise – an “expedite count” (conteo rápido) – that uses a large “representative” sample of polling places (7,000 in 2012) provides a fairly accurate estimate with a rather small margin of error, of the outcome of the election before midnight on Election Day. ► On this election, nearly 141 thousand polling stations were accounted for by the PREP. The expedite count sampled over 7,000 polling stations rendering results with a +/-0.5 margin of error. Both results coincided with one another, and with the official results of the election. The third one – vote buying – has been addressed by making it a criminal offense that is to be investigated by a Special Prosecutor. But as many have pointed out, the challenge on this specific area is considerable as evidence should show beyond doubt that the “incentive” did change the original vote intent and that these “sold” votes changed the outcome of the election. In other words, there are two different matters regarding vote buying: whether someone “bought” votes, and whether vote-buying was extensive enough to alter the outcome of the election. 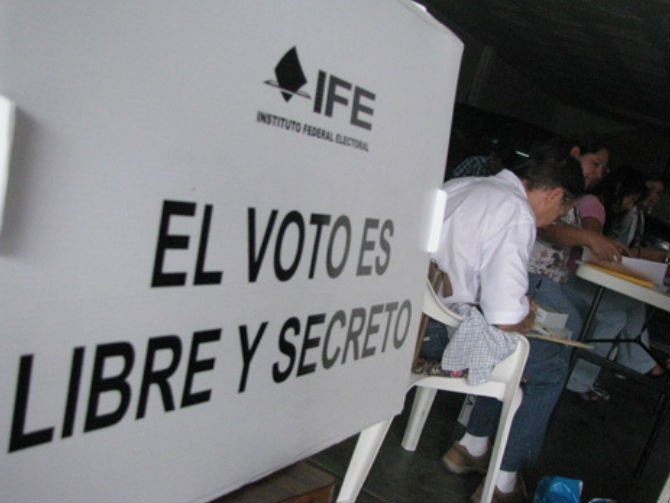 The first one – buying or coercing votes – is punishable under Mexican criminal law. The second effect – whether vote buying altered the outcome of the election – is determined by the Electoral Court. What must be clear is that the existence of the first does not automatically translate into the second. The devil, as it stands, is in the detail. To summarize, there were no complaints of the first type of fraud on this election. And while there were plenty of complaints of the second type of fraud, they were for the most part addressed and dispelled in the process that just ended. What lies ahead are complaints of the third type of fraud: massive vote buying. The leftist candidate, López Obrador, announced this morning that he will seek to annul the election, arguing that there was massive vote buying – over 5 million votes – by the PRI candidate Peña Nieto. It is yet unclear what will be the decision of the Electoral Court, even if the evidence of vote buying were compelling. The 2007 Electoral Reform rendered most previous rulings on this matter invalid, so we have little to rely on for analysis. The Court could rule that there was indeed vote buying, but lacking evidence of its magnitude or effects, rule that it cannot determine whether it changed the outcome of the election. Or it could, in a historic ruling, determine the opposite. The important thing is that the electoral process in Mexico is not formally over until the Electoral Court (a special court in the Judiciary branch that deals exclusively with electoral matters) declares a winner. And that will not happen until the last complaint is resolved … which could take months – as was the case in 2006 – but must happen before September 6th. The author provides a good synopsis of the “tricks” known kver the years, especially done by the PRI, that explains why us mexicans distrust not only government but also the electoral process. I was surprised to not find a single mention of the Monex and Soriana scandal that without a doubt make the “third” fraud type argument stronger. Also, there was no mention of the media bias (including bloated polls towards Peña Nieto that were published for months during the campaigns and that their authors recently acknowledged their results were way-off, in some polls over ten percentage points aside from the multi-million dollar contracts between Peña Nieto and Televisa documented by the british newspaper The Guardian) without a doubt made this election not fair, violating article 41 of the mexican consitution. Perhaps the fact that the author has worked both for PRI and PAN, or what is known as PRIAN (they are the same thing), made him overlook that it goes beyond three types of frauds and that the leftist candidate is not throwing a tantrum. Rather, he is defending democracy in Mexico. There were many people (list could be searched on FaceBook) who at the time they went to cast their vote. They were told at noon time that they were no more ballots left, also stating that the majority was already being accumulated by the supposedly winner Nieto. So their vote would not even represent a difference. One thing. 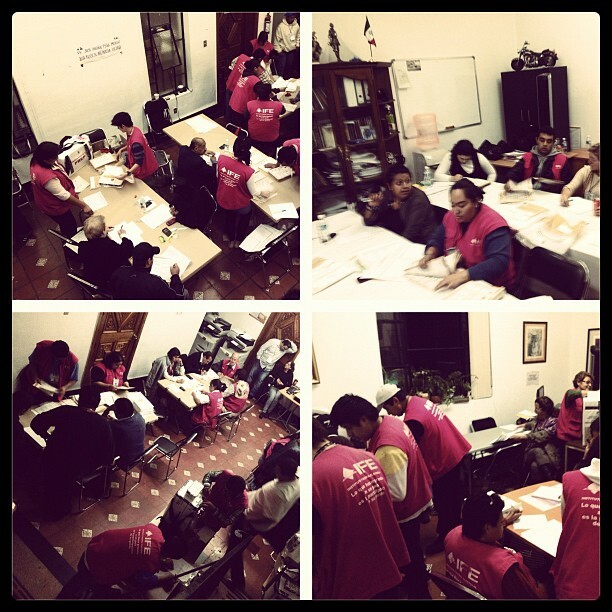 Mexican Constitution states the vote as A RIGHT TO ALL CITIZENS. So when they tell me no more ballots. IFE is interefeering with my right to vote. What they did is UNCONSTITUTIONAL. Never mind also rumors of buying votes to add to this mess. Maybe Nieto won, but then MEXICANS DON’T DARE CALL THIS DEMOCRACY, IT IS NOT.